OmegaSecure – comprehensive, automated, managed. No changes to your store.Hosted at Omega’s Security Operations Center. Our hosted solution, OmegaSecure™, delivers data security and systems management without the need for new hardware or additional IT staff. Hosted and managed at our SSAE 16 Type II-certified data center. OmegaSecure is a comprehensive, automated system that takes day-to-day data security management off the hands of your already busy IT team. OmegaSecure is certified as PCI DSS 3.2.1 Compliant. Demonstrate PCI Compliance and Maintain Continuous Compliance. 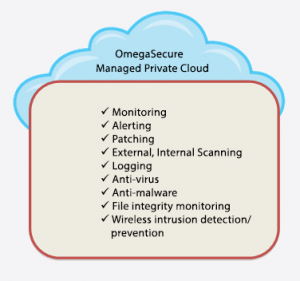 See if OmegaSecure is the right solution for your operation. Schedule a free consultation with Omega today. Call 636-557-7777 or email security@omegaatc.com.